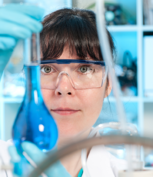 All market-leading resins use agarose based matrices. Agarose is a very protein-friendly material as it is “water loving”, just like most proteins. Making the agarose beads porous is a key to substantially increase the surface area of the beads and thereby improve the binding capacity – there will be room for more mAbs to be adsorbed also onto the surface inside each bead and not only on the bead surfaces. Antibodies are large molecules and therefore the pores in the beads must be large enough for the molecules to enter. Large pores, however, might make the beads soft and prone to collapse at high flow rates. A resin manufacturer must therefore use some sort of cross-linking technology to make the walls rigid enough, so that the beads can retain their shape even when exposed to the higher pressures when high flow rates are used. Porous beads with a high mechanical stability are thus important for an efficient protein A resin. Another thing to look for when evaluating different protein A resins is bead-size. By using small beads you will reduce diffusion distances in the stationary phase and improve the mass transport of mAbs. This is important, as you want to run at high flow rates and small beads allow for more mAb molecules to access binding sites in the short time available. Another advantage with small beads is that you will obtain a more concentrated mAb when you elute from the column, as a smaller bead size will give you a better packed column with lower diffusion effects. A high flow rate will speed up your purification process. There is however no point in using a high flow rate if your target molecule does not have the time to bind to the resin. A high dynamic binding capacity is thus an important measurable characteristic of an efficient protein A resin for mAbs (see A novel protein A-based resin for optimized purification of antibodies). With a high dynamic binding capacity you can bind more mAbs per ml of resin in real life (expressed as grams per liter of resin in industrial processes). You can thus use smaller columns and less resin to bind the same amount of mAbs, as well as needing smaller buffer vessels, which, in the manufacturing set-up, will decrease your footprint. Smaller columns can also have unexpected benefits, such as shortening the time for cleaning-in-place. In fact, just about everything that costs money will be impacted by a high dynamic binding capacity – column sizes, resin volumes, buffer volumes, cleaning agent volumes, equipment footprints, processing times, etc. With a high dynamic binding capacity you can bind a lot of mAbs with a small amount of resin at a high flow rate. The thing to look for is thus a high dynamic binding capacity allowing short residence times – this is the most important key to improving your process economy. But, as in most things in real life, there can be trade-offs. An efficient protein A resin has a low so-called non-specific binding of impurities, such as Host Cell Proteins (HCPs) and Host Cell DNA (HCD) (also, for purification of proteins other than mAbs, for example from E. coli production systems, a resin should not bind other key impurities such as endotoxins). In addition, you should not have any leakage of protein A from your column. All of these properties can be negatively affected by resin manufacturers’ attempts to achieve high dynamic binding capacities. For instance, using a high protein A density in a resin might cause more leakage of protein A during operations. Considering non-specific binding of impurities, like dynamic binding capacity, this is something that can be measured in a standard fashion, but it has to be decided for every individual mAb. It can, certainly, impact your purification process and make it both less robust and more expensive (download white paper Improving your mAb purification). Besides a high mechanical stability, your protein A resin must have a high chemical stability and should have the ability to withstand concentrations of sodium hydroxide up to 0.5 M to allow cleaning-in-place procedures that ensure a totally clean resin. 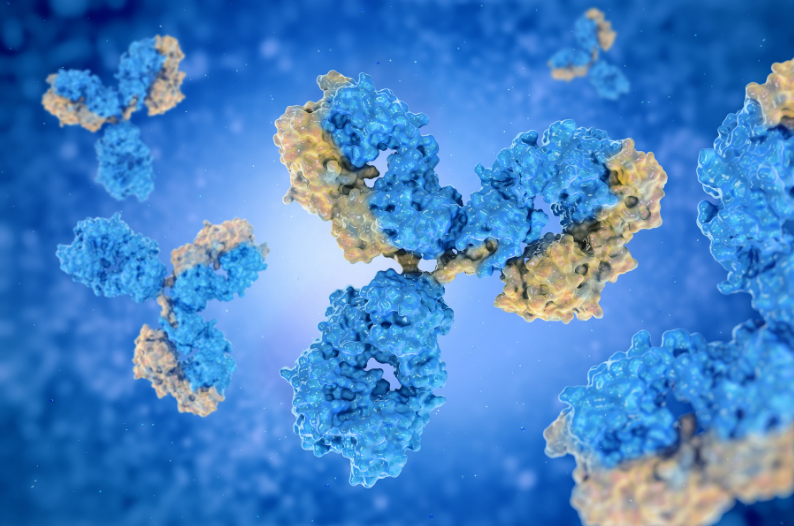 (see A novel protein A-based resin for optimized purification of antibodies). An efficient protein A resin will help you achieve good process economy by means of certain important characteristics. Small and porous beads will increase the accessible surface area of the resin and thereby increase the binding capacity. With smaller beads you can also elute a more concentrated product. Rigid beads will allow high flow rates. These properties are most easily compared using dynamic binding capacity. A high binding capacity at short residence time will allow you to bind more of your target molecule at a high flow rate. You will therefore be able to use smaller columns, less resin and reduce the time for your process step. The resin should also have high mechanical and chemical stability and low non-specific binding of impurities. Whereas manufacturers’ information will help you compare dynamic binding capacities, mechanical stability and chemical stability, an understanding of non-specific binding and its impact on your process might require your own tests with each of your mAbs and your own system set-up. A simple step to improve mAb purity in any purification method. The Bio-Works staff are seasoned and enthusiastic (yes, even a bit nerdy) experts in purification resins, methods and strategies with many years of experience of the ins and outs of this field. We love our job and we’d love to help you do yours by sharing some good solid facts, principles and best practice. In short – “purification made simple”.